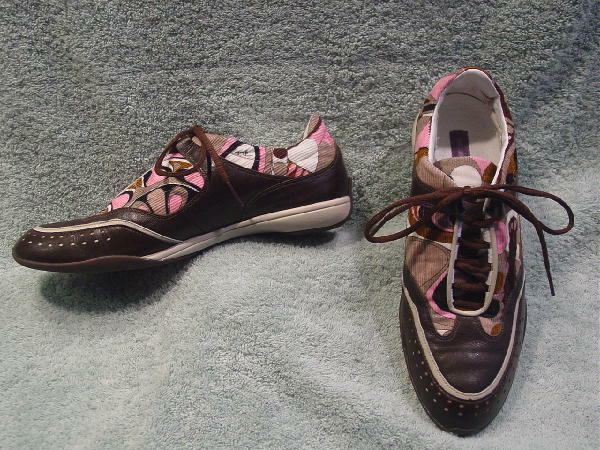 These dark brown leather and brown, white, pink, gray, cocoa, and black corduroy sneakers are by Emilio Pucci. 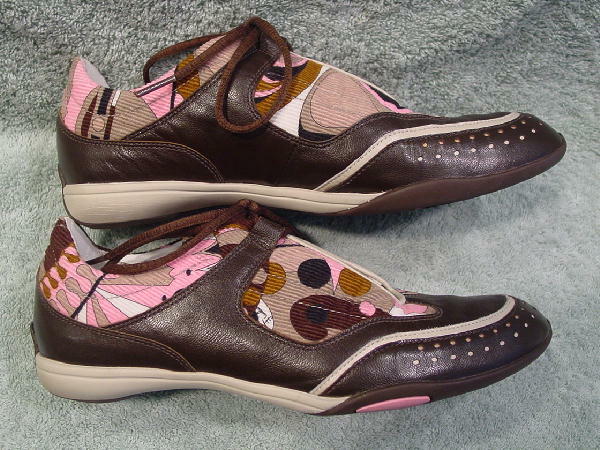 The shoelace ties are in a dark brown. 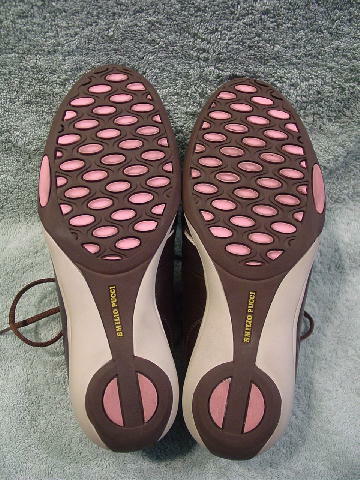 The tongues are leather and corduroy and the insoles are white and the linings are white leather. 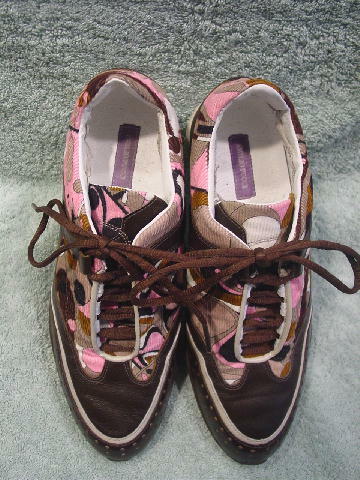 The soles are rubber and in pink, brown, and pale sand with Emilio Pucci on the bottoms. They were worn only twice. 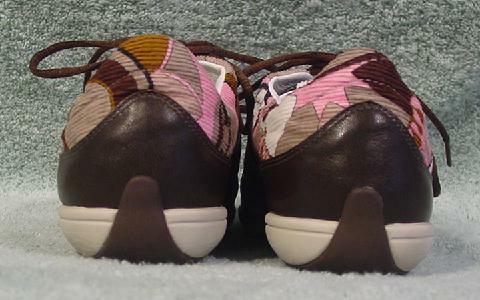 The laces are closer to the brown leather color.